- I’m OBSESSED with the colors black and white and even more obsessed with Hollywood Regency Design. 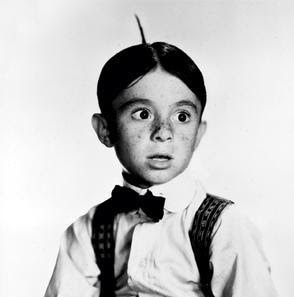 - When I was in the 1st grade, kids called me Alfalfa because I had a cowlick that stuck up just like his. To this day, that cowlick is the bane of my existence. - I love doing “nothing” with my husband Doug and my two shih tzu’s Mochi & Spunki Brewster. - Is there such a thing as “Caramel Macchiatos Anonymous”? If so, I need to go to a meeting asap. - If I had to choose between shoes or clothes I would choose shoes. After all, shoes will still fit me no matter what size my waistline is. - Getting “thank you” emails from happy clients makes my heart smile..it really is one of the best perks of my job! - I’m currently loving Justin & George Nozuka, Green Tea Ice Cream from Rite Aid, Etsy, Shabu Shabu, and Munchos..actually I’m kinda getting over Munchos so scratch that. - Spending quality time with my family and dear friends is what I will cherish forever and ever! - I’m a Gemini..everybody knows that Gemini’s are…well…I’m not actually sure but every time I tell someone I’m a Gemini they say “of course…it totally makes sense now”. After googling “Gemini”, I think this description actually describes me to a “T”. To find out how I became a photographer, click here.